Park 143 Bistro & Fish unveils a new name and new menu featuring fresh seafood offerings. The expanded menu is complete with fresh fish and shellfish selections – including mussels prepared three different ways, succulent mahi-mahi fish tacos and delicious fried oysters. The new offerings illustrate creative spins – highlighting flavor, technique and the freshest seasonal catch. Our signature favorites remain – jalapeño flavored shrimp and grits, juicy NY strip and our homemade gnocchi, which changes daily. Designer Michael Kramer, one of New York’s most impressive new talent, created the restaurant’s interior with details that make this Bronxville restaurant seem comfortably far away from the everyday. 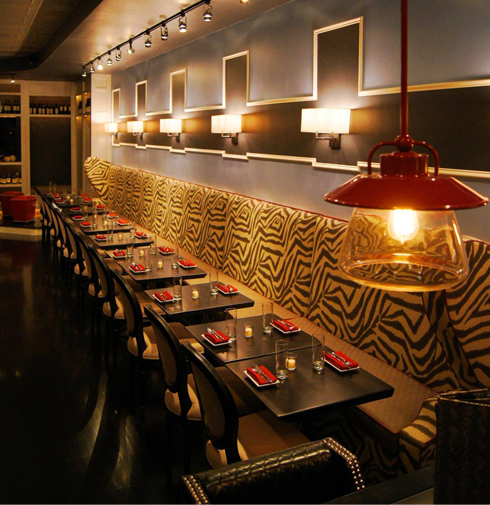 Quilted black leather chairs with polished nickel studs reflect hand blown glass light fixtures casting a dim glow on whimsical zebra print banquettes. Artwork by artist Nick Stavrides decorates the walls. The art – all for sale – makes an intriguing combo adding to the new seafood concept. Stavrides also designed our new logo that is adorned on t-shirts worn by staff. 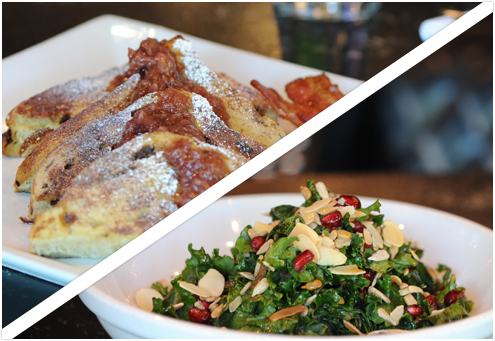 Park 143 Bistro & Fish is open for brunch, lunch and dinner everyday. The menu changes seasonally and a happy hour menu is offered Monday-Friday from 4:30pm – 6:30pm. Outdoor seating is offered in warmer months. Park 143 Bistro & Fish is a neighborhood restaurant at its core. We invite you to come mingle with friends and family in a lively atmosphere while offering you an exceptional full dining experience. Parking (metered until 7 pm) for the restaurant is plentiful and convenient along Parkway Road. After 6 pm parking is free in the lot behind the restaurant. The restaurant is also handicap accessible.